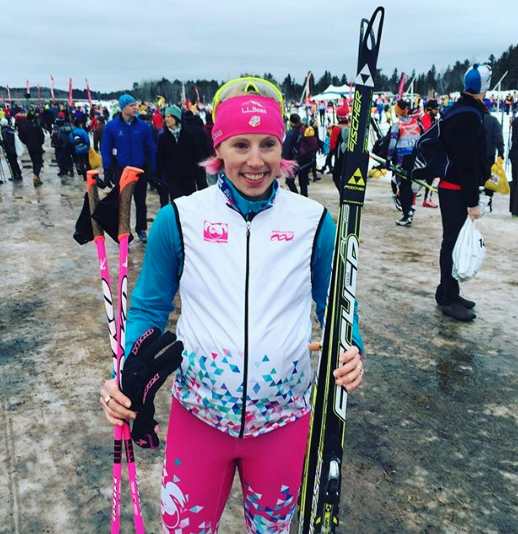 The “First Tracks” series highlights the pregnancy, postpartum, and parenting experiences of noteworthy athletes in cross-country skiing in various stages of their professional careers. The sharing of these experiences can benefit athletes in any stage of their career, whether they are an elite or recreational skier, by demonstrating that it is very possible to return to skiing, competition, and an active lifestyle with a growing family. The series will include the physical challenges of being an athlete during and after pregnancy, balancing family life with skiing, and the joy that starting a family can bring. As she was the only U.S. Olympian and mom in PyeongChang and the first female American skier to start a family during her professional career, Kikkan Randall has led by example in the realm of training through and recovering from pregnancy. 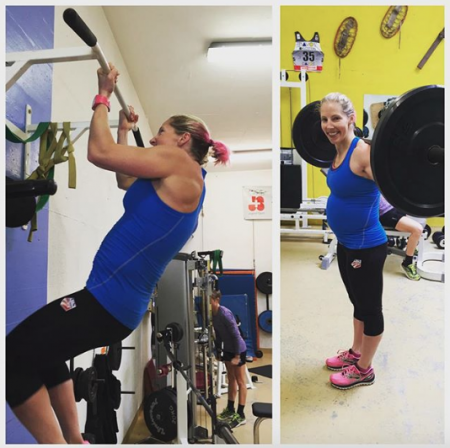 Her gold medal demonstrates that it is completely possible to return to competition after pregnancy stronger than ever. While Randall acknowledges how fortunate she was to have an uncomplicated pregnancy through which she could train at a level most would find astonishing, her experience should instill confidence in women that hope to remain active during and after pregnancy in order to maintain the active lifestyle to which they are accustomed. 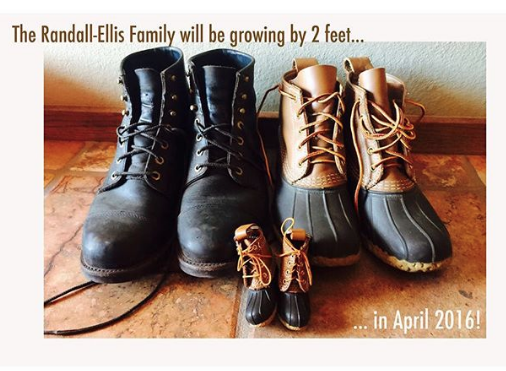 Randall and her husband, Jeff Ellis, knew that they wanted to start their family in 2016. As that was not a World Championship year and it was not an Olympic year, the timing was ideal for her to miss a season on the World Cup. 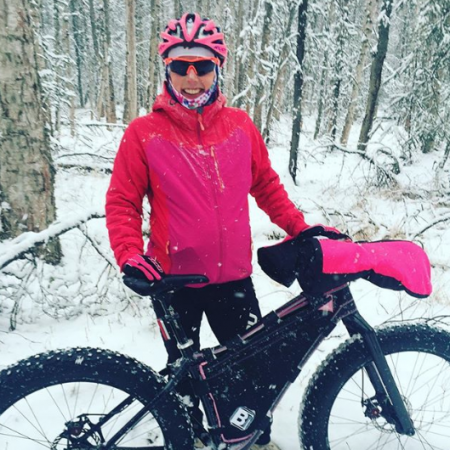 As the couple began trying to conceive, Kikkan was able to maintain her normal training volume without worrying about its effect on her fertility, still participating in team camps and following her training plan. In fact, she discovered she was pregnant shortly after returning from a training camp in Norway. Once the couple found out they were pregnant, Randall’s training plan adapted to accommodate the new toll on her body, however, it did not change as much as one might think. Despite things feeling more challenging, Randall was able to maintain a high training load throughout her pregnancy. 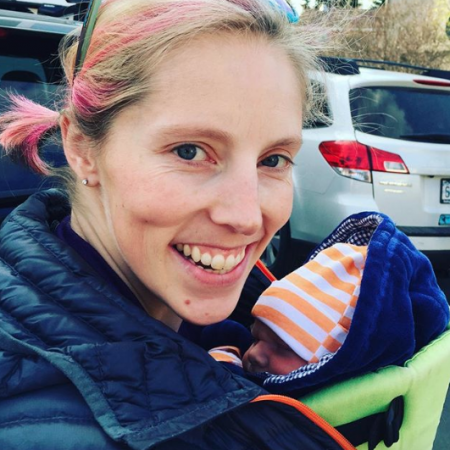 She typically trained twice a day all the way through her third trimester, incorporating running, both skate and classic skiing, snow biking, and strength workouts. Once she was in the later stages of pregnancy and her belly had grown substantially, she avoided exercises that required jumping because of the added load on her joints and those that required her to lie on her back for long periods of time, which is recommended to pregnant women as the pressure on the inferior vena cava, one of the major arteries responsible for returning blood from the lower extremities to the heart, can restrict blood flow and cause complications. One thing that challenged Randall was the lack of information pertaining to high-level athletes training through pregnancy. As it is difficult to conduct medical studies on pregnant women and so few elite athletes had chosen to get pregnant during their professional career, there was a dearth of resources explaining what she should and should not do. “That part wasn’t as cut and dry as I would have liked,” she said. “I was asking a lot of questions to a lot of people, but there wasn’t a lot of stuff out there that was concrete about what you can or can’t do. Thankfully, my doctors were supportive. They said, ‘Keep doing what you’re doing because that’s what your body is used to. Just listen to it. Randall seemed to handle pregnancy in stride, adjusting to the changes in her body well and looking forward with anticipation. Her only emotional hurdle was simply remaining home during the winter, rather than the heading to Europe for the World Cup race season. “It was a little bit difficult, I had to miss a season of racing,” Randall shared. “When all my teammates left for the season and I was up in the middle of the night watching them, I really missed the racing and being there together with them. Randall also handled the uncertainty of what her recovery would look like with the positivity and resilience for which she is known. Perhaps a challenge unique to the world of professional athletes for whom training and racing is their career, maternity leave takes a new shape as women are not able to perform at their normal level during or immediately after their pregnancy. This extended leave has been met with mixed results as more an more professional athletes are choosing to start their families during, rather than after, their career. As aforementioned retired track athlete Lauren Fleshman illuminated, pregnancy is not always well-received by sponsors, since the athlete’s need to step away from high-level training and competition for at least a year decreases the visibility of the sponsored products. Luckily, Randall’s experience in this regard was quite positive. “I was proactive with all my sponsors,” said Randall. “I alerted them that ‘hey, we’re going to try to have a kid in the next year. So if I do, how can we renegotiate or keep our relationship going?’ Recognizing that they wouldn’t get the benefit of me out there racing and getting in the results, being on the podium, and getting them the exposure that way, I just proposed other ways that I could be valuable to them. Whether it was writing content for their website or social media, whether it was doing in-person appearances. So with each of my sponsors, I came up with a unique set of things that I could do since I was going to be home, not going to be away racing all the time, and they were really receptive to that. So it just took some creativity on my part. “I think everybody was really psyched to see that I wanted to continue racing, that I wasn’t seeing this as an either-or option, so everybody was really supportive,” she continued. Randall also felt that pregnancy is handled fairly within the International Ski Federation (FIS) in terms of her ability to preserve her World Cup starts after a year away from racing. 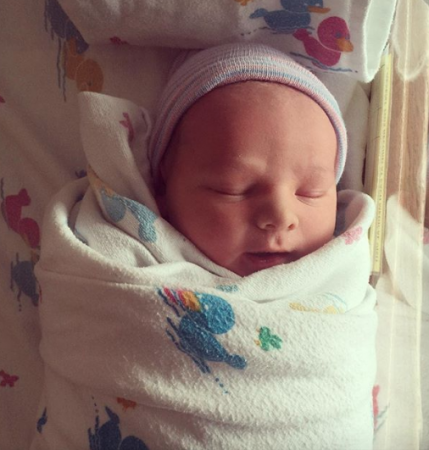 Randall gave birth to her son, Breck Stuart Randall Ellis, on April 14th of 2016. Because Randall possesses a genetic blood clotting factor, she had been on a blood thinner throughout her pregnancy as a precaution. In order to keep her labor and delivery a bit more controlled, the doctors advised her to be induced when she reached full term at 39 weeks. “They had done a procedure in the office the day before, so by the time I got to the hospital and they hooked me up to the monitors, I was already having super mild contractions, which I couldn’t quite even feel yet,” said Randall. “They started me on one unit of Pitocin over half an hour… that got things going real quick!” she laughed. “It kind of skipped the slow build up stage and I went into having contractions every 90 seconds pretty intense and that was making me throw up, which was causing more contractions. So I battled through that for a couple of hours, trying all of the various techniques and everything. From there, Randall’s delivery went smoothly. Breck entered the world at a whopping 8lbs 11oz, 21 inches in length. Stay tuned for part two in which Kikkan shares her return to training after pregnancy, traveling on the world cup with Breck, and how parenting has changed since she retired and has been undergoing treatment for breast cancer.